Martin Scorsese once stated, “My whole life has been movies and religion. That’s it. Nothing else.” Either centered on biblical stories or as backdrops to cultural identity and individual motivations, he explores the religious influences that structured his youth and curiosity in film. 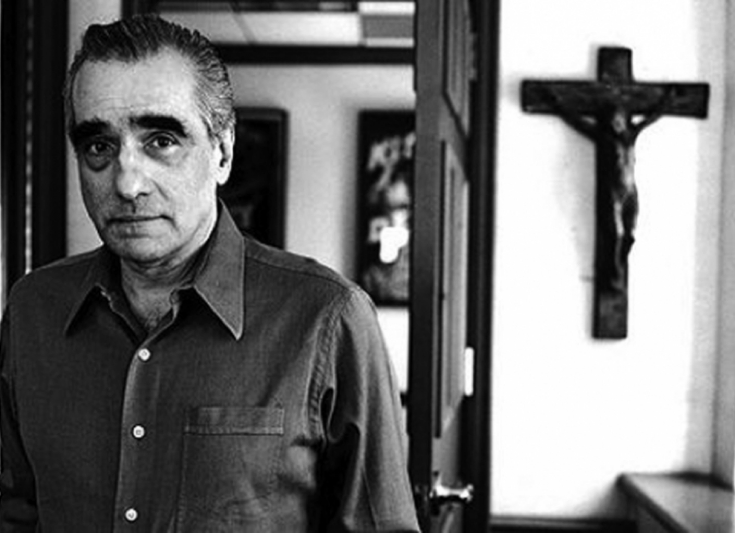 From his early years as an altar boy and an unsuccessful attempt to the enter the seminary, Scorsese’s religious journey heavily influences the characterizations and themes of his work. His works explore the role of the church in everyday life, the strength of faith in the face of adversity and doubt, and using faith to adjust to modern norms. Several of these projects have attracted negative responses, but Scorsese does not undermine the Church. He offers glimpses of his own pondering rather than a definition of what the Church is or ought to be. The films have been Scorsese’s own spiritual meditation and search for deeper meaning. This film was Scorsese’s reworked thesis during his final year at NYU. Before his successful 1970s period, one of his first films focused more on a personal level. J.R (Harvey Keitel) is a young Italian man in New York City with a strong, traditional Catholic faith. J.R reflects the same sensibilities as Scorsese in his 20s: mirrored cultural and religious backgrounds, relatively laid back demeanor with friends, and strict approach to religion as the moral compass. The main theme of the film is how J. R interprets his strong sense of faith and morality during a situation he does not completely understand. When he discovers that his girlfriend (Zina Bethune) was a raped by her ex-boyfriend, he cannot cope with the question of purity. His stringent sense of abstinence prior to marriage is heightened to a point that he cannot fathom his current dilemma. When he comes to terms with his love for the girl, the stigma of her past to dictates his judgment. As a final attempt to remedy the awkwardness and miscommunication, J.R offers forgiveness for her apparent “sin”, which pushes her away permanently. In the final scenes, he goes to his church for solace. In his contemplation, J.R remains confused about the situation, and cannot find a satisfactory answer to his pondering. Charlie (Harvey Keitel) becomes responsible for Johnny Boy (Robert DeNiro), the neighbourhood’s outsider. Despite trying to correct Johnny’s numerous mistakes, Charlie becomes his brother’s keeper, which becomes reminiscent of the story of Cain and Abel. Charlie is dragged into immediate danger for Johnny Boy’s incompetence and must bear the brunt of retaliatory violence. Yet, the story is not as clear cut. Charlie is not an honest man of God. He is obedient to a fault to his Mafia uncle and is morally blind to the actions of his associates and friends. Charlie is also trying to maintain a secret affair with Teresa, Johnny’s sister. Teresa expects Charlie to commit to a real courtship, but he expects a purely physical relationship, devoid of responsibility and attachment. He wants to feel he is making positive contributions to his neighbourhood by helping one street kid but boasts the privileges of being a Don’s nephew. Charlie is the most compassionate character, but he is also misguided by being selective with the characteristics that make a good Christian. Max Kady (DeNiro) takes on the role of an apparent God-sent avenger. Kady feels it his obligation to correct the miscarriage of justice in his case by being divinely chosen to do God’s will. Kady experiences horrific acts in prison, which leads to his warped understanding of the Bible. Despite his murderous, violent journey to seek his vengeance, he compares himself to Job, who had to lose everything to become God-fearing in the Old Testament. He appoints himself as divinely chosen by God, which abstains him from eternal punishment. He attests to being chosen to a point that he can speak tongue, with references to the Tower of Babylon. Kady’ former lawyer, Sam Bowden (Nick Nolte) buried evidence when he discovered that Kady was, in fact, guilty of his crimes. This turn of events questions Bowden’s own loyalties towards the ethics of being a man of the law and his own moral rectitude. This film was an explicit representation of religious fanaticism. Scorsese went to the extreme of escaping God’s will in his past films. Cape Fear was the opposite, by showing a character that sought to learn as much as possible from God’s Word, notwithstanding the warped motivations at the onset and misguided implementation. For Bowden, Scorsese questions the relationship between equality before the law and a sense of obligation to society and to one’s moral conscience. Henry (Ray Liotta) is brought up half Irish and half Italian, but fully Roman Catholic. His wife Karen (Lorraine Bracco), a Jewish woman, is characterized as culturally unfit for the Mafia life. She comes in as an outsider, who through sheer will diverts Henry’s attention from his work. During the bonding sessions with the other Mafia wives, she feels out of place and not meeting the expected criteria. She enjoys the wealth and recognition of Henry’s work, despite never truly understanding it. She does not admit to herself or her parents that Henry runs illegal operations. In an act of denial, she presents Henry to her family after he hides his crucifix necklace. The small details are the most obvious indicators and her upbringing is used to convey this discrepancy. She is not a girl of the neighbourhood nor the ideal Italian girl that Henry’s peers expect, and for this, her characterization is reduced to religious identity. Much like her slow, gradual entrance into Henry’s world, Karen is ignored from it when he is not in the picture. Though Karen struggles, one may argue that she was never truly welcomed into it. Henry is adulterous, which he describes in his “Saturday night was for wives, but Friday night at the Copa was for the girlfriends” monologue. Karen is never the only woman in Henry’s life, and she is alienated from Henry’s Mafia family when he is incarcerated. Another of Scorsese’s passion projects. Much like Raging Bull’s preceding commercial success, Scorsese secured the funding and confidence after his successful adaptation of Jordan Belford’s The Wolf of Wall Street. The film was created as a representation of both doubt and hope in the church – two innate realities in the Christian follower’s spiritual journey. Much like Scorsese’s fascination with his religion, there was the desire to create a film centered around the literature that mimics his own feelings throughout his religious journey, which he calls an unending one. This film centered on God’s communication to man. The two Jesuit priests sent to Japan are full of religious ambition and rely on faith to endure the arduous journey. When they come face to face with the Buddhist-dominated Tokugawa Shogunate, they are pressured to give up the faith and witness the persecution of the native Christians. When Rodrigo (Andrew Garfield) calls to God for guidance, he feels he cannot hear or feel God’s guidance during the hardship. He questions whether these dying people are martyrs of the faith or perish for their reverence for him. When physical and psychological anguish follow the Christians throughout the journey, the question of whether faith’s sustenance is enough during atrocious trials is examined. Culture is continually revisited as another of Scorsese’s fascination. The film begs the questions: Is Christianity a foreign, miscast religion for Asia? Is Christianity, built on the faith of One Redeemer for the world, exclusive to certain ethnic cultures? Essentially, Scorsese allows the film to offer an authentic glimpse into his train of thought and his feelings of being a lapsed Christian who cannot help but still be drawn to Christianity nonetheless. This article was written by Daniel Michael, a writer for dusk magazine.